It’s time to mix things up and get the blood pumping! Take a ride on our Sea Ray 190 Sport with its eye-catching style and high-end components such as stainless-steel hardware and finished fiberglass storage compartments with gas assists. 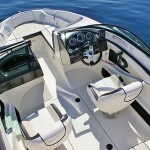 This premium boat has more standards and features than other boats in its class. Even though this is the smallest boat in the Sea Ray Sport family, don’t be fooled because there’s nothing small about her. 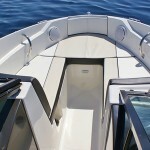 This boat was tailored for the family who wants to do it all on water, perfect for water sports or just cruising. And the best thing about it is that fits into all budgets. 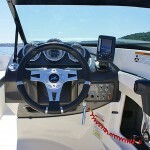 She has a powerful 135-hp MerCruiser engine and she is quite wide for her length resulting in a fast, balanced ride. 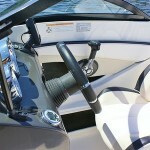 Length 5,99 m-Width 2,21 m-Engine MerCruiser 135HP V4 Alfa I sterndrive-Max. 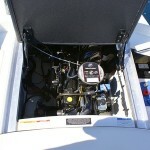 Speed 30 MPH-Fuel Tank 100 l-Fresh water tank 35 l-Persons max.6-Year built 2014.